The FIFA World Cup is the biggest sports event in the world. Taking place every four years, each new edition has been known to break records for television viewing figures around the world. For example, the 2014 FIFA World Cup reached 3.2 billion viewers, 1 billion people watched the final game alone, and on average 187 million fans tuned in to follow a match in real-time. Not even the Olympic Games, the Superbowl or the Champions League Final come close to this hype. With so much at stake, it’s crucial that FIFA get their football ticketing strategy right, and with the world cup taking place every 4 years since 1930, they’ve had plenty of experience in the field. 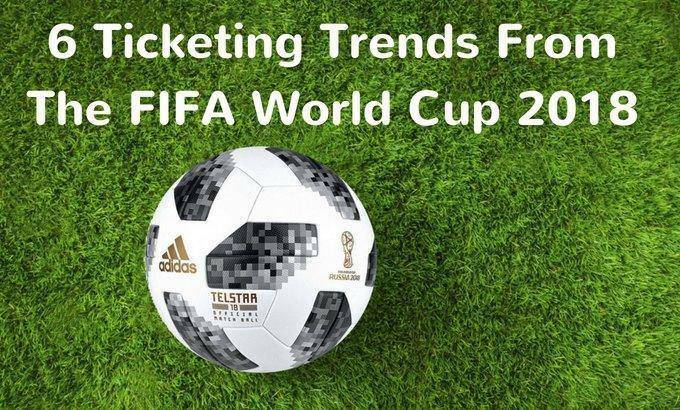 So, with the stage now set for the world’s best football players to showcase their skills, let’s take a look at the ticketing best practices and trends we can learn from this prestigious tournament. Pricing tiers are a must for event ticketing. Major football organisations around the world already implement the strategy, which often means creating different price points or categories based on the attractiveness of specific seat locations. For football stadiums, that typically means that the closer to the centre of the field the seats are, the more valuable the category will be. The big advantage of creating seating categories in a venue is that it allows organisers to introduce price tiers and increase their profits, in particular if they leverage the power of a football ticketing system that allows them to assign specific seat locations to certain ticket distributors. When organising tournaments or competitions made of multiple stages, FIFA’s round-by-round pricing structure could provide some interesting insights. Generally, of course the prices increase as the tournament goes on, meaning a group stage game is cheaper than the final. However, there are also 4 categories, ranging from the best seats, to the cheaper ones with less visibility. Taking a closer look at the price increases, the most expensive ‘Category 1’ displays a price discrepancy of around 400%, which is greater than the mid-categories. This is explained by the low price elasticity for those with higher income, and could inform your approach to multiple category, multiple stage price points. FIFA has rolled out a ticket vending calendar this year that’s reminiscent of previous strategies. Organisers are spreading out ticket sales throughout the year to build and maintain a buzz right up until the first ball is kicked. 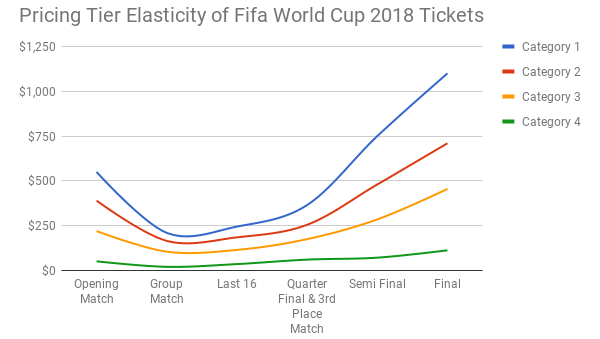 It’s not a coincidence that the first ticket sales phases ended before the actual draw and schedule for the FIFA World Cup 2018 group stage and knockout rounds had taken place. This allowed the organisers to sell tickets for some of the less glamorous matches in advance and avoid empty seats. Additionally, FIFA’s approach also provides fans with multiple opportunities to purchase a ticket. By utilising a mix of random selection draws and first-come-first-served phases, the organisers were able to create a balance between giving everyone a fair shot at a ticket whilst at the same time rewarding the biggest supporters with a slight advantage. Ticket packages can be an effective method for boosting your total revenue and profit via cross-selling. FIFA offers several options ranging from team-specific ticket packages that allow you to follow one team throughout their games, to venue specific ticket packages that allow supporters to attend all games at their local ground, and avoid extensive travel. 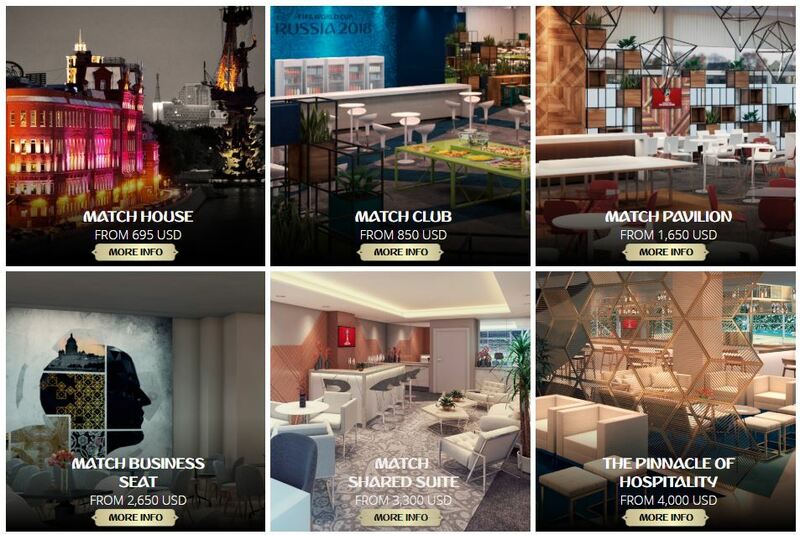 In addition, organisers also offer high-level hospitality packages to leverage income from the highest spending supporter groups that were interested in a more luxury, all-inclusive experience. In Spain alone, online ticket vending is a €1,5B industry with about 60% stemming from sports tickets sales. Hence, it is not a surprise that tickets for the 2018 FIFA World Cup were almost exclusively available online. This football ticketing trend teaches us an important lesson: if you want to reach a global audience, it’s all about providing a great digital experience. As a result, clubs need to ensure their websites are easy-to-use, well-designed for PC and mobile, load fast and can handle unprecedented ticket demand spikes. Failure to do so could lead to a lot of angry and disappointed fans. Obviously, a local football club might still want to keep some brick-and-mortar ticket stores, but if you’re eyeing up an international fanbase, you’ll need to target multiple digital ticketing channels and make the purchase flow well-designed and straightforward. FIFA is an exception to this rule since they have such a strong brand that they are able to sell their tickets worldwide through their own website. However, even leading football clubs around the world are increasingly making their tickets available on different channels so that customers can book in the place they feel most comfortable, and secure. If you’re following this strategy, make sure to use a ticket distribution system that will allow you to actively manage and maintain visibility over your ticket sales across multiple channels via a single platform. 2018 FIFA World Cup ticket design is a reminder that printed tickets can still hold a place, albeit a small one, in today’s digital world. For many fans, the chance to collect a tangible memorabilia in the form of a unique ticket is still a huge value-adding aspect. 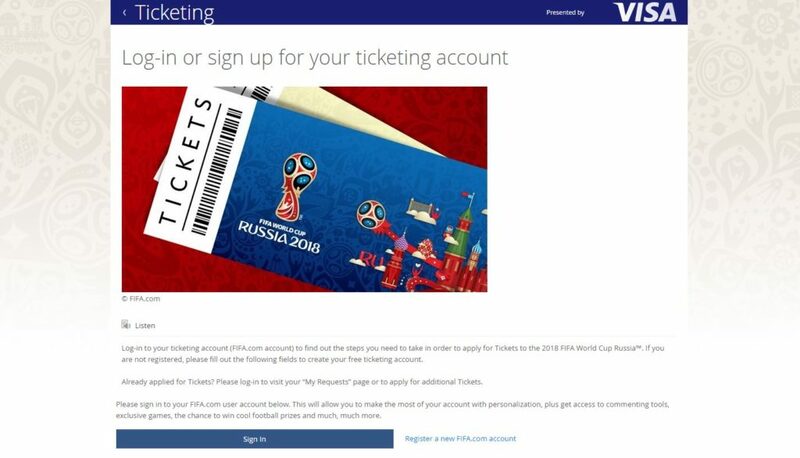 Moreover, the 2018 FIFA World Cup ticket isn’t simply a piece of paper: it’s a carefully designed hybrid of a printed and electronic ticket with lots of security features. That means e-tickets with barcodes, with the addition of holograms and design features normally exclusive to printed tickets. While digital tickets are the future of ticketing, creating well-designed print tickets for special occasions can be another piece of the puzzle to creating outstanding and memorable fan experiences. 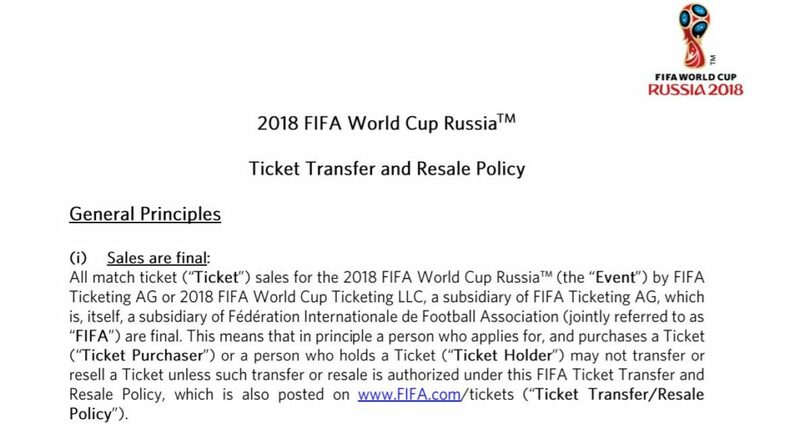 FIFA is serious about preventing illegal ticket resales by opportunistic third-party vendors, as indicated by their Ticket Transfer and Resale Policy. To fight off ticket scalpers, the organisers opted for comprehensive solutions based on different elements. These include the creation of an official resale platform, strict policy enforcement and close collaboration with governments, and launching several information campaigns warning people about buying tickets on third-party sites. Time will tell how effective FIFA’s anti-fraud strategy really is, but this focus on genuine, legitimate ticketing is a lesson for any event organiser looking to sell and distribute tickets in an effective way that leaves fans happy. In the future, the solution to this ongoing problem might well come from the usage of blockchain technology in ticketing, which is one to keep an eye on in the years to come. With the world eagerly anticipating the biggest event of the football calendar, the FIFA World Cup marks a great opportunity to learn some tips and tricks about ticketing your upcoming event, whether it’s a football competition, volleyball tournament or snowboarding contest. When examining FIFA’s football ticketing strategy, there are many useful tips and best practices to learn: use pricing tiers and sales phases, include ticket packages, create smart ticket designs, limit ticket scalpers and, perhaps most importantly, focus on digital experiences. To help you streamline your ticketing flows for large-scale events across different channels, check out Onebox’s ticket distribution platform.